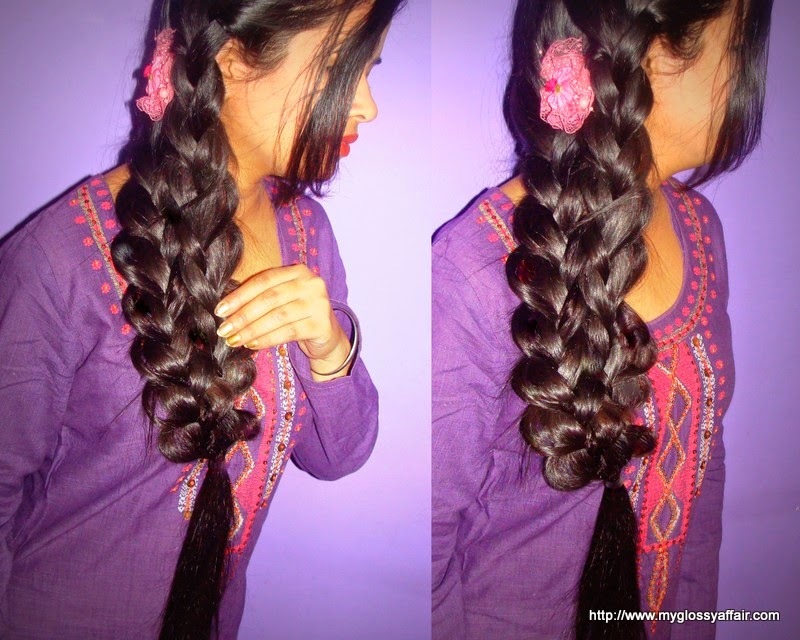 So, this time, I am here with a cute hairstyle – A Mermaid Tail Braid. I really love this one, one of my favourites it is. So simple and easy to make yet looks so elegant and cute. 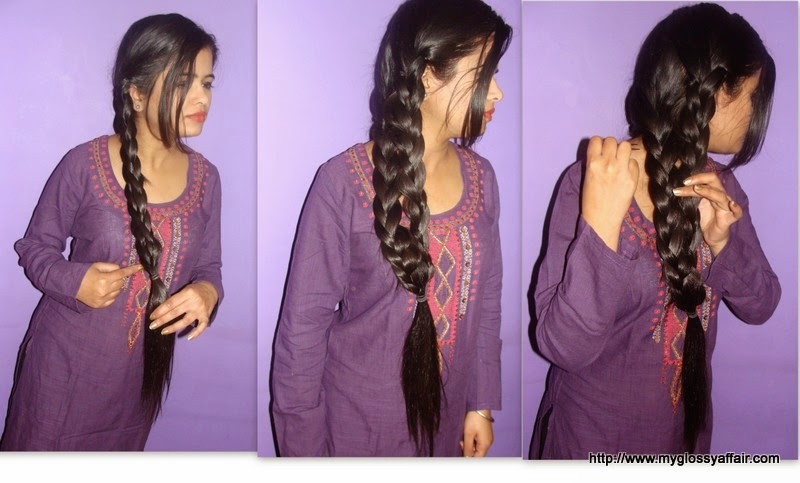 This braid hairstyle makes hair look so voluminous and heavy that those beauties having scanty or hair with low volume are surely gonna love this one!! 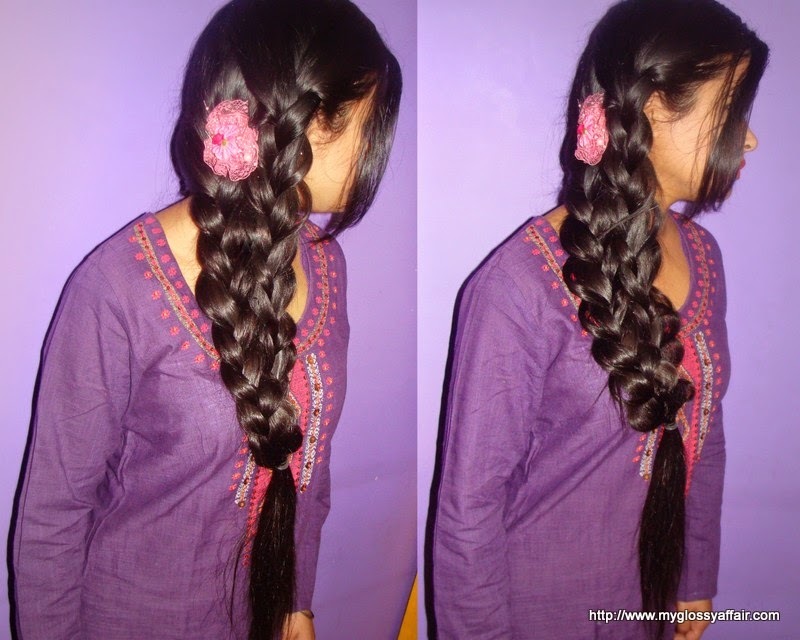 Mermaid Tail Braid is a very easy to do , 5 minutes hairstyle. It looks awesome but that doesn’t mean that it is difficult or time consuming. The best thing about this hairstyle is that you yourself can do it with no other person’s help!! Now, let’s have the full tutorial with pics and see how to make a cute mermaid tail braid. Part hair into two sections. Create equal sections. Secure one parting with a rubberband so that it doesn’t disturb the other part and hair don’t fly here and there. 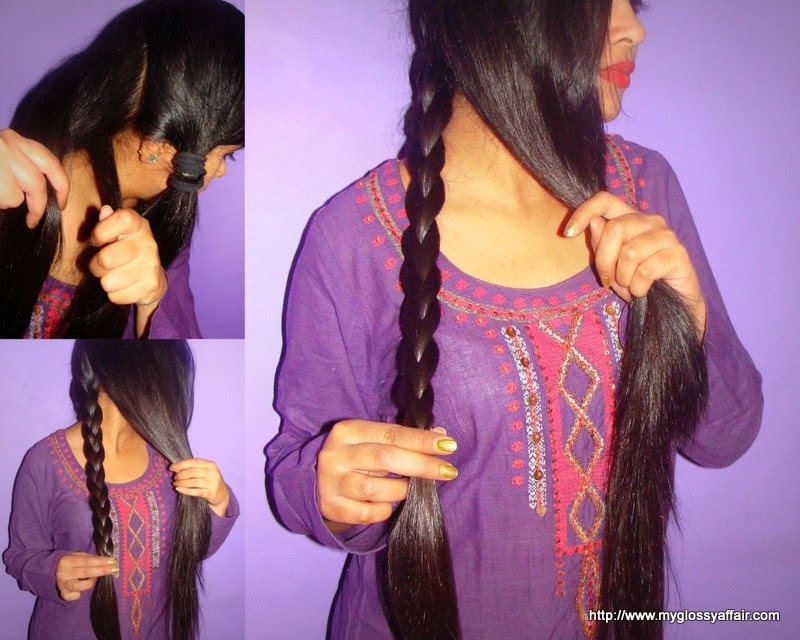 Now create simple braid for the section of hair that is not secured with rubber band and put a band on it. Remove band from the earlier section of hair and make a simple braid on that section too and secure with a rubber band, same as earlier step. Now you have two braids, equal length, volume and type. Take out rubberbands from both while keeping them secure with your fingers and out a single rubber band for both of them. Make it tight so that the braids don’t go lose else the hairstyle won’t look as intended. The braid will look something like the pic below. Now, the Finishing Touch Time – some accessorising. You can use any accessory you like like some studs on the whole length, some small flowers on full braid or some jewelled hairpiece. I am sure no one can go wrong with this. You can change the front as per what suits you. But the braiding part is done in 5 mins flat. Nice tutorial but truly I can never mange to put those pins between the two braids properly because I have thin hair. Maybe someday I will manage. BTW Your hair is beautiful……. Your hair is so long and thick! Loved ur hair! My hair is so thin this hairstyle is impossible for me! 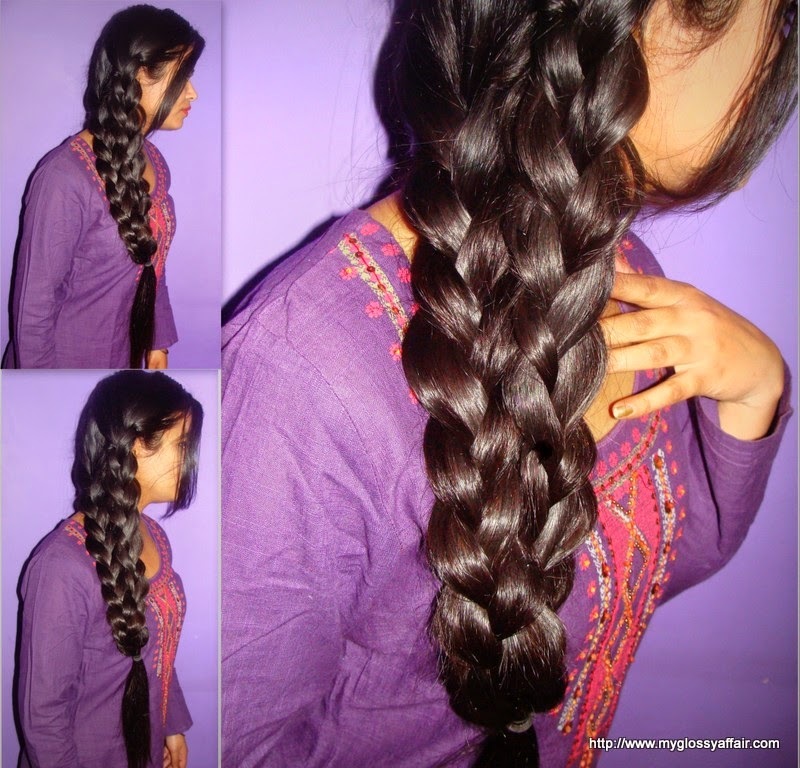 Gorgeous braid I wish I had long hair like her beautiful hair to do it great detail post. Nice and your crowing glory is so well kept and maintained. Super gorgeous. Your hair is amazing! 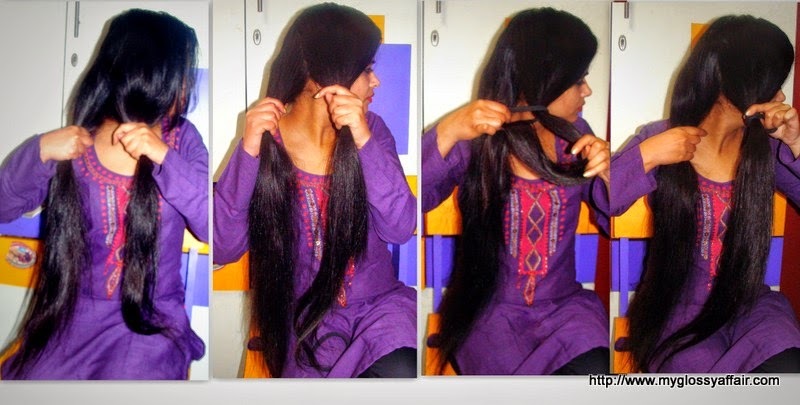 I have done this so many times this looks really cool on long hairs. You did it sooo well… n made it look so easy. Beautiful Braids and Ladies if you can NOT do this yourself give me a call! OMG your hair is so gorgeous. Love this idea, I need to see if I can try this in my hair, totally love it. Your hair is absolutely beautiful!!! I am going to try this, and I hope it looks as gorgeous as yours! Awesome..i wish i have hair like urs..
Wow! You look beautiful. Love this hair style. Definitely will give it a try soon! I love this…fantastic tutorial. I wish my hair was long and thick enough to pull this off. Great tutorial and I'm so jealous of your long lovely hair! This hairstyle looks so gorgeous on you! I'm definitely gonna try this out! Amiga que linda trança amei o passo a passo tenha uma semana abençoada. You have gorgeous hair girl! Thx for sharing the tutorial, most helpful. omg! Your hair is so beautiful! Loved the hairstyle, I need my hair to grow a little more to give it a try! Looks really nice and easy. Gorgeous hairstyle! Love your amazing long hair. 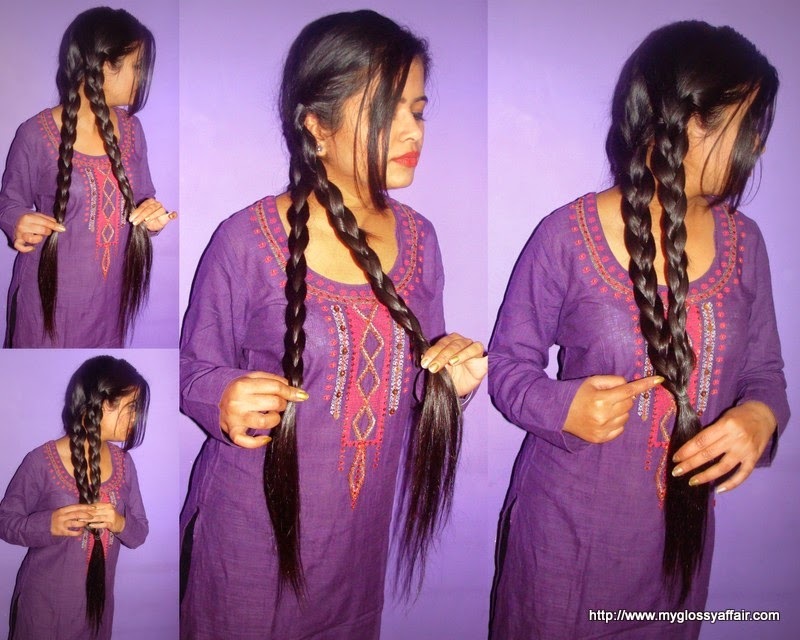 Wow, you have such amazing hair.. Great tutorial..
Love your wonderful long hair! Great tutorial! Charu, this tutorial is so useful! I love your hair, I wish I didn't cut mine! Really pretty !!! i am seriously drooling over your hair , its so long and healthy. Lovely pictures too. Omg your hair is SO beautiful!! Wow, your hair is gorgeous and I love this styling idea!! So beautiful! I love this style and your hair is incredible for it. Wish I could but mine is currently too short! Eek so gorgeous!! I don't have thick hair so I won't attempt to do it but this looks real fabulous! !